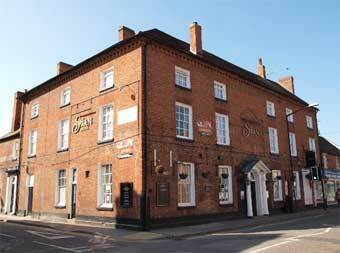 One of only a handful of hotels in Alcester that enjoy a central location. The Swan Hotel can be found in the main shopping thoroughfare and enjoys a relaxed and friendly atmosphere. Pubs-with-rooms properties mught not be to everyone's tastes but this 400 year-old coaching inn offers terrific value for money. The hotel stands in Alcester's charming, 'olde worlde' town centre and has heaps of Tudor character. Each of the 11 are en suite and lodging for the night includes a full English breakfast. If its ale you like, you'll be laughing. There are several craft ales on tap and Alcester has two other great pubs that feature in CAMRA's 2013 Good Beer Guide. The town centre location provides easy access to local attractions like Ragley Hall, Coughton Court (a national Trust property) and Shakespeare's Stratford-upon-Avon. Please note, the Swan Hotel features live bands on Friday and Saturday evenings, so be prepared for some lively activity in the rooms below. The hotel is ideally situated for the Midlands motorway network. Telephone the Swan Hotel on +44 (0)1789 766999 for details on booking rooms.